A COMPLAINT about a Suzuki TV advert claiming it promoted ‘irresponsible driving’ has been rejected. 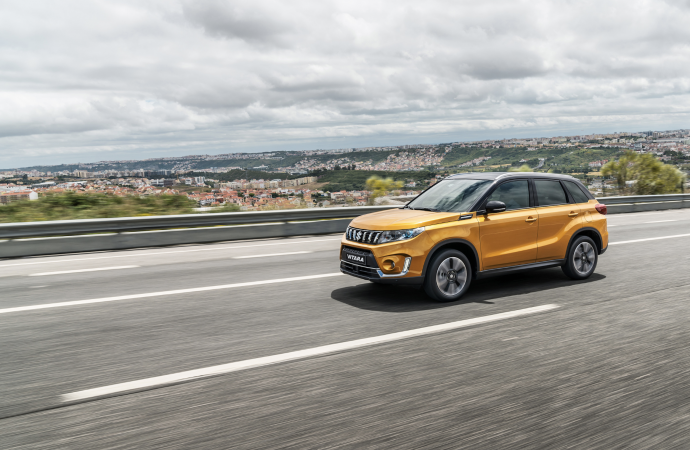 Seen on January 8, 2019, Suzuki’s advertisement for a new version of its Vitara SUV starts with images of the car driving along regular roads in a seemingly normal fashion, before a voice-over from a child can be heard. The Vitara’s driver then takes it off road while laughing – with the suggestion he had then performed a ‘doughnut’ in the vehicle. The Advertising Standards Authority (ASA) subsequently received a complaint that the advert ‘condoned irresponsible driving’. However, this was rejected by the ASA, which said that although the driver put the car in ‘sport’ mode with the vehicle’s speed then increasing, it ‘did not appear to be excessive, nor was the tempo of the music such that it was likely to encourage excessive speed in drivers’. The ASA ruled that it didn’t breach its code of broadcast advertising as it ‘did not condone or encourage dangerous or irresponsible driving’ and said the advert could still air. MORE: Fantastic prize up for grabs for those who dare to enter the Dealers’ Den at CDX!